Kawanza A. Humphrey always had an interest in the community development side of banking. 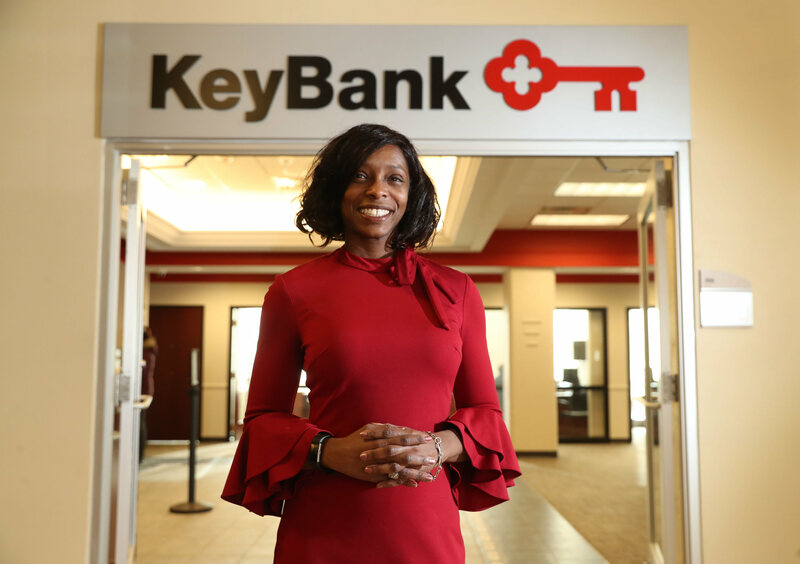 She is putting her passion to work at a notable moment for KeyBank. Humphrey is helping to oversee a community benefits plan that so far has poured $290 million worth of loans and investment into Western New York. Key is now in the third year of its five-year benefits plan, which emerged as Key was acquiring First Niagara Bank and touches all of Key's markets. Humphrey, 42, is regional corporate responsibility officer for Key, overseeing its Buffalo, Rochester and Central New York markets. She recently added Buffalo to her duties after Catherine Braniecki retired. Humphrey, a University at Buffalo graduate, worked in sales for two local TV stations before taking a job at HSBC in 2001, where she eventually became an area manager. 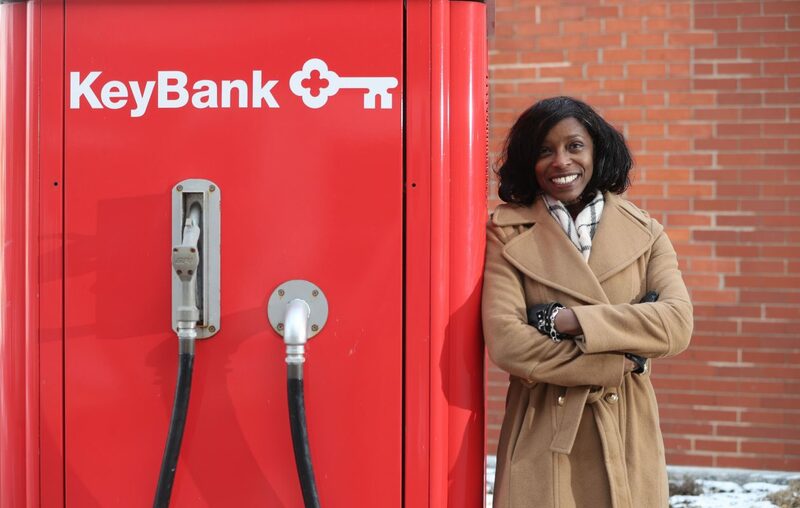 The Buffalo native joined Key in 2012 and worked as an area retail leader, overseeing 12 branches, before becoming a corporate responsibility officer in 2017. Humphrey earned a master's degree at Daemen College. Q: What does a corporate responsibility officer do? A: My responsibility is to execute the community benefits plan, which is our $16.5 billion investments in the 15-state footprint that we serve across the nation. The community benefits plan focuses on both economic growth and job growth in the communities. I am tasked with gaining access to the communities for mortgage lending, small business lending and philanthropy. From the philanthropic standpoint, we're doing that by focusing on three strategic pillars: education, workforce development and neighbors, where we're focused on creating safe and stable communities. Q: Key has invested $290 million here through this plan. How is that having an effect? A: From a community development investment standpoint, we have done a fantastic job. The plan across the board has been ahead of expected results. That is allowing individuals to get access to affordable housing, so that's been a significant impact. We've been ahead of plan in philanthropy. So our philanthropic investments have allowed for organizations to get access to significant funding dollars. Q: How can this plan still have an impact in its final three years? A: Small business lending and then we still have opportunities in the mortgage space … It's access to capital for entrepreneurs to either launch or grow their business. Giving homeowners the opportunity to accomplish the dream of owning a home and the impact that owning a home can have on a family's wealth. We've also, I think, done very well and will continue to focus aligning our philanthropic investments. We'll continue to partner with organizations that are helping to do the education behind home ownership and then also giving entrepreneurs the technical assistance they need to launch or grow. Q: How did you make the transition from an area manager to a corporate responsibility officer in 2017? A: A career plan. I've always been active in the community. I've been a volunteer for various organizations. This corporate responsibility officer role was sort of a natural fit. I would say to anyone that's looking to manage their career, you have to have a written plan in place for yourself. I followed that plan and started mentoring with Cathy Braniecki. Following the integration with First Niagara, there was an opportunity to have another corporate responsibility officer position. I applied for the position and was able to land it. Q: You have a lot of experience with overseeing branches. What impact do you think Key's new branch will have in the Delavan-Grider neighborhood? A: That's a significant impact on a community. We're so pleased to be able to have the opportunity to go into the Delavan-Grider community with this new branch office. We really have goals and aspirations of the branch being a beacon in the community, a source of information, of collaboration, and an opportunity for our branch team to be able to partner with those residents and local business owners to be able to thrive in the work that they're doing. Q: What do you want to do in this job, with your expanded role? A: I want to make an impact across all of upstate New York. My background in banking is for both consumers and small business owners, and I want to be there for them in a way where they're able to flourish. Matt Glynn – Matt Glynn has been a business reporter with The Buffalo News since 2000. He is a native of Youngstown and lives in Buffalo.